In my previous post, I had mentioned that I had compiled some data on the Top 20 English language fiction/nonfiction books that were listed on the online bookstores in India. Towards the end of the post, I had also listed down a few questions that arose as I saw the results of my work. These are mere observations, and not trends for the industry, and I do not claim to be an expert when I try and answer those questions. This came as a surprise to me. I have been informally scanning the top selling books on the websites, particularly, Flikpart, Amazon.in and Infibeam over the past year and the top selling books have mostly been in the fiction category. One possible reason why nonfiction books feature so prominently across the sites is as follows. Most of these books are study guides for competitive guides, and the season for bank officers, civil services and other competitive exams is round the corner. This could be a seasonal factor, and in a few months’ time, say by end of May, one may see fewer nonfiction books. b. What is the ratio for number of fiction: non-fiction books sold? In the above image, there is a ratio for number of Fiction and the Non Fiction Books that are sold (F:NF). For print book, this ratio stands at 0.82, that is, 8 out of the top 20 selling books on Amazon.in as on 28th March were in the Fiction category. This ratio varies depending on the site, and the format of the book (print versus ebook). For example, the F:NF ratio is 1 for print books on Flipkart and Crossword. On the other hand, this ratio is 2.33 on Google Play store, implying that more number of fiction ebooks are sold on that site than nonfiction. Conversely, on Infibeam, nonfiction books outsold fiction books by a ratio of 5:1.
c. Do the same books figure across the stores in these lists? While I did not track this information specifically, the answer is that in case of fiction, one can see the same names, particularly books by Amish Tripathi and Chetan Bhagat. Books by other authors such as Rashmi Bansal also figure prominently. In case of nonfiction, the study guides for a couple of competitive exams were seen in the top 20 lists for print books across multiple sites. In some cases, the sellers have discounted the price that may have caused a particular book to figure in the top 20 list. c. What were the number of pages for these books? I felt this question was a little difficult to answer because of two reasons. In general, nonfiction books, particularly study guides, seem to have a higher page count (average of 500 pages) compared to fiction (average page count: 325). I was surprised by the 200 plus page count for fiction, because I believed that a typical fiction book in the romance/ YA category would range between 200 and 250 pages. The higher average could be because the mythology books (particularly by Amish) and historical fiction tend to have a higher page count. d. How many comments/ stars has the book received. Do they play a role in the sale of the books? The short answer is Yes. For print books sold on Amazon for example, the average number of reviews for a top 20 selling book was 65 (fiction & NF combined), while the average rating was 4.4 stars. Similarly for the ebooks sold on Google Play store, the number of reviews was 357,while the average rating was 3.8. Am I probably stating the obvious here! The answer in this case, unfortunately, is No. Across every site, irrespective of the type of book or the format (print or ebook), only the boos published by traditional publishers figures in the top 20 selling list. Does that mean that a self published author cannot crack the Top 20 charts? Time will only tell. The other implication here could be that for a non-Indian author who is trying to sell their books in India and aspire to make it to the charts, self publishing-only might need a re-think. For those thinking of higher royalty earnings, this also could be the way to go. For example, a 200 age fiction book is listed for more than 750 Rupees (12.5 dollars) on one of the sited. This book has been published by a US based publisher, and they have probably retained the pricing across the globe. Of course, we are talking about an author who has sold many. many books till date. (Update: The selling price for this book has been discounted to 420 Rupees or 7 Dollars now). f. Are there any other trends or patterns that show up? I have put together this section to distract you, the reader, from the disappointing news posted above. I am going to post some random pieces of information here for you to digest. *How long has it been since these top 20 selling books were published? Is it logical to assume that the books meant to help in preparation for competitive exams were published in recent months. But for fiction, some of the top selling books go as far as 2011. One reason for these books to figure on the list could be because they have been deeply discounted, often to the extent of 60 percent of the MRP. *I ask again, what about ebooks? Average MRP of an ebook on Google Play store was 80 Rupees, or nearly a Euro at the current exchange rate. On the far end of the spectrum, the MRP of a Adobe ebook on Landmark was almost the same as a print book, and in some cases, twice the price of a print book. Average MRP of ebooks on Amazon was Rs. 74, or a 1.25 US Dollars, but that is largely because six or seven books from the Ron Fry series figure on the top 20 list. Each book is priced at 4 Rupees (less than 10 cents). Udpate: Amazon has updated the list on the day I am posting this blog. As for nook and ibooks or other formats- sorry I didn’t look into them because nook isn’t available in India yet, and market for ibooks is very small. Flipkart do have their proprietary ebook format, and I did not look into it in detail. And then we have the new member to the party, Kobo. They have a tie up with Corssword, and I thought that their new titles are priced on the higher side, with their top 20 selling books priced at an average of 211 Rupees. I hope to discuss with the folks at Kobo about this in the near future. *If the print version of a book is in the Top 20 list, does it mean its ebook version will also be in the list? Not necessary. This may be true for Indian fiction books which were published an year ago or older, but not for majority of the newer fiction titles and certainly not for nonfiction books. For books by foreign authors, ebook versions of their new titles are available, but the need not figure in the top 20 list. *Have you covered all the major online stores which sell books in India? No, there are other sites such as Snapdeal, Rediff, Indiatimes shopping, authors’ websites, and e-commerce stores of publishers. *Why did you write these long, long posts? I wrote these posts with a simple intention of sharing with you, the readers, what I found. *What about the market for Non-English Books? 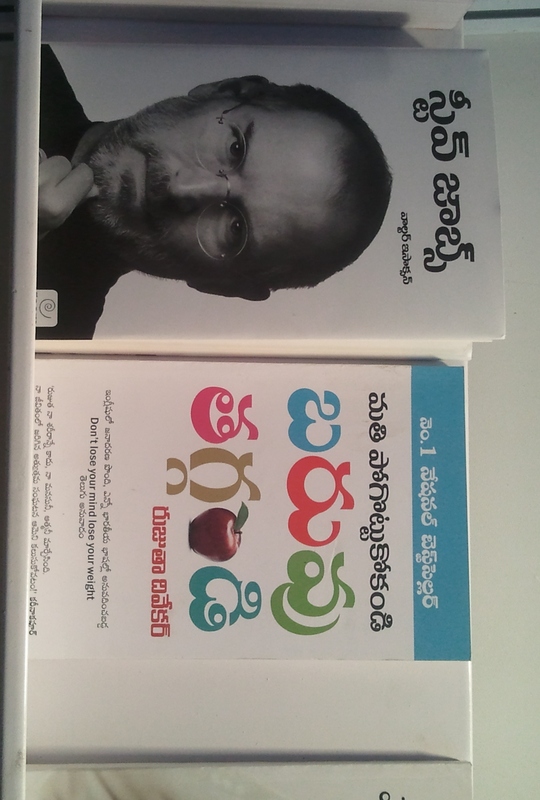 It is true that the market for non-english books in India is much bigger than that for english books, and I hope to follow up with a similar work for books in Hindi and Marathi, the two languages that I am fluent in. Possibly Gujarati, which I can read as well. But for other languages, I would encourage others to come up with similar analysis so that others may also benefit. I have the greatest respect for regional language books, and I am posting ths image below to highlight why regional language books matter. *Can I look at the raw data? Next Post When 1 in 5,000 books gets made into movies…. I guess that was 80 Rupees (equivalent to a Euro), not 8. Good analysis, and a lot of data! I guess publishers have a strong-hold in the Indian market – primarily because they have the distribution network in place, maybe. Secondly, even though devices like Tablets might have grown in adoption, Kinde, Nook or Sony eBook readers are yet to catch up. I, personally, have a Kindle and would like to read books in the Kindle, than a tablet. Thanks for your feedback and pointing out the typo. I wish a Euro was 8 Rupees and somewhere alomg the way it showed up in my post. Will fix that error. I hae grown to like the Kindle myself and prefer to read ebooks over print books myself. But a visit to a bookstore at a Railway station or in any city or town in India is a reality check. Print books outsell many times over. Hopefully in a future post I will be able to get some numbers for is to get a feel for it. At the New Delhi World Book Fair im 2013 there was a big focus on non-print books (including audiobooks) but they do not seem to be maing a dent in the market just yet.